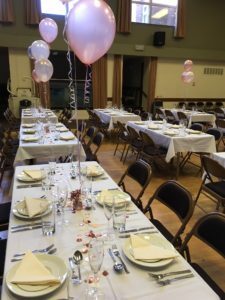 Cottingham Civic Hall is owned by the Cottingham Village Trust, a charitable incorporated organisation formed in 2016 by members of the local community, to secure the Hall and the adjoining Council Offices for the community of Cottingham. Since March 2018 the staff at Cottingham Civic Hall have been gradually restoring and refurbishing the building and its facilities. The hall is now receiving the attention it deserves, with an ambitious plan for modernisation that will certainly place Cottingham Civic Hall among the most desirable venues for entertainment and events in the East Riding of Yorkshire and Hull. The trustees have worked tirelessly to raise the profile of the Hall, with improved advertising and social media presence and a diverse programme of events to encourage people back to the hall. 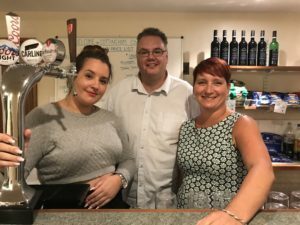 The first hurdle is to secure further funding by increasing the revenue from events held at the hall, through application for grants and loans and the support of the community. We have an ambitious plan to repurpose and refurbish the adjoining Council Offices to create additional meeting suites and modernise and extend our kitchen facilities. This will include a significant improvement in the ICT resources throughout the building, with modern energy efficient equipment available for conferencing, parties and entertainment events. Ultimately we hope to have air conditioning fitted throughout the building for the comfort of our patrons.